Brown. Bubbly, and effervescent. A blast from the past straight to the present. Singer, songwriter,producer extraordinare. The realest of the real og’s. Jits beware. Born singing gospel with the family group, the Echoes of Joy, Wright began experimenting with R&B music in 1965 when she was only 11. In 1968, she released her first album, My First Time Around, by the age of 14, and scored her first national hit, “Girls Can’t Do What Guys Can Do”. But it was not until the end of 1971 that Wright’s most successful phase of her career began to take place. The song, “Clean Up Woman”, became a Top 5 pop and #2 R&B hit, and would later influence a remix of Mary J. Blige’s “Real Love” single with the sample of its guitar riffs; R&B girl group trio SWV’s “I’m So Into You” also featured a sample from “Clean Up Woman,” as did Afrika Bambaataa’s song “Zulu War Chant”, and Sublime’s “Get Out!” remix. In 1974, Wright scored big with the songs “Tonight is the Night” (about a real-life love affair that happened with Wright when she was a teenager) and “Where is the Love” (which won her a GRAMMY for Best R&B Song). After experiencing the Alston labels apparent dissolution in late ’79, she rebounded founding her own record label, Ms. B Records in 1985. In1988, Wright made music history by being the first woman to have a gold record on her own label, (self written, arranged, produced, and published). With the release of Mother Wit, which featured two of her biggest hits in years, “No Pain No Gain” and the “After The Pain.” On both songs, Wright displays her powerful upper register capabilities and seven-octave range. 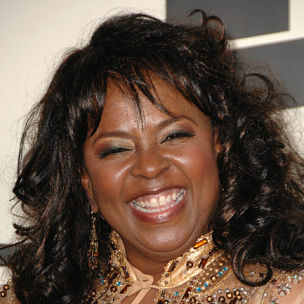 By 2001 a compilation album The Very Best of Betty Wright was released, along with her first studio album in several years, Fit for a King. After co-producing the first two Joss Stone albums, (2003, 2004) multiple GRAMMY nominations, Vocal production on Diddy and Keyshia Cole’ Last Night (#1),a Vocal Coaching spot on Making the Band 3, which spawned the group Danity Kane, Wright managed to squeeze in an amazing collab with her dear friend Ms Angie Stone which garnered them a GRAMMY nomination in Best duets category. Ms. B is also vocal coach to Lil Wayne, who she declares has the memory of a space alien: a phenomenon. Wright also co-produced the critically acclaimed Bible Belt, the freshman presentation of Diane Birch, who came to Ms B “s writing camp and got more than she bargained for…the hook-up…which is why they call her Mama. This Mother of 5 ( Aisha, Patrice, Patrick, Chaka, and Asher, (deceased due to gun violence Dec 25, 2005.)) still manages to mentor several young singer/songwriters in a home-based camp called The MOST, which is an acronym for Mountain Of Songs Today, Wright has been instrumental in the careers of hundreds of artists (vocal coaching, production, song writing, backing vocalist and co-ordinator, music consultancy, etc)The likes of Beyonce, Gloria Estefan, Jennifer Lopez, Joss Stone, Mia X, Trick Daddy, Flo Rida, DJ Khaled, Michael Jackson, Stevie Wonder, Chaka Khan, Alice Cooper, Bill Wyman(Rolling Stones) and on and on til the break of dawn…..!